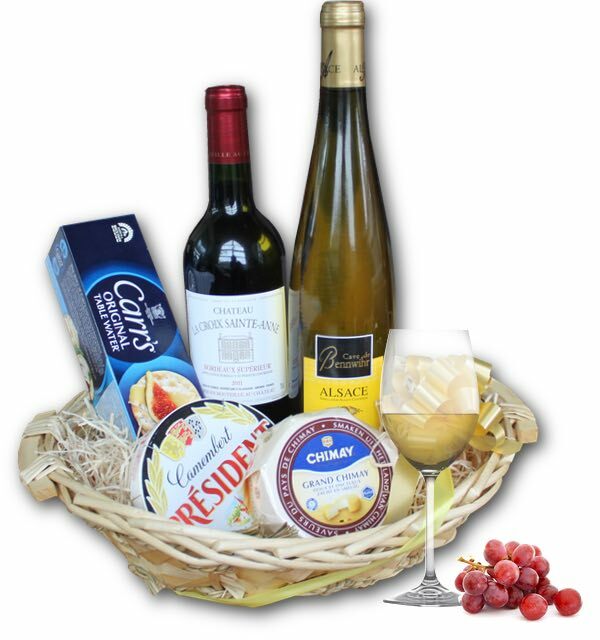 A combination of French and Belgian gourmet cheeses, accompanied by a bottle (75cl) of Riesling white wine and a bottle (75cl) of red Bordeaux wine (ac). We've added a box of gourmet crackers. The basket is wrapped in stylish gift paper and is decorated with a fitting bow for the occasion.